You're ready to take that dream cruise through the Panama Canal but when you start researching, you find a bit more choice than you expected. While some cruise ships sail through the entire Panama Canal, others only go halfway. Full-transit cruises sail from the Caribbean to the Pacific (or vice versa), traversing the entire length of the Panama Canal with you onboard. Partial transits are one-way cruises from Florida that sail into the Panama Canal as far as Gatun Lake, then turn around and head back to Colon on the Caribbean side, before continuing on. How do you know which option is best for you? Here we take a look at a Panama Canal partial transit vs. a full transit, so you can understand the benefits and drawbacks of both types of sailing. For engineering geeks and bucket list travelers, a full transit of the Panama Canal is the only way to go. Most ships take a full day to cross the canal during daylight hours, often getting a very early morning start. 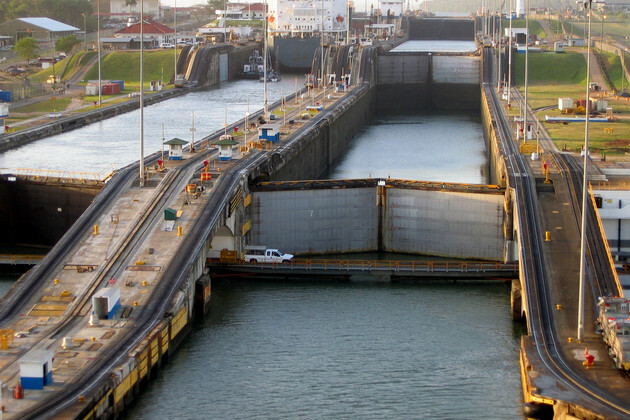 Your ship will pass through all six locks (three on each side), and you'll sail through Gatun Lake and the Culebra Cut. 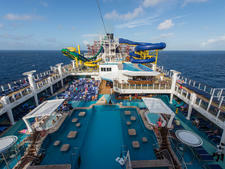 Travelers have lots of choice of cruise lines, from mainstream to luxury, when it comes to full transits. Some lines offer regular crossings, with back-to-back Panama Canal cruises, while others offer full transits only as repositioning cruises, often at the beginning and end of the Alaska cruise season. 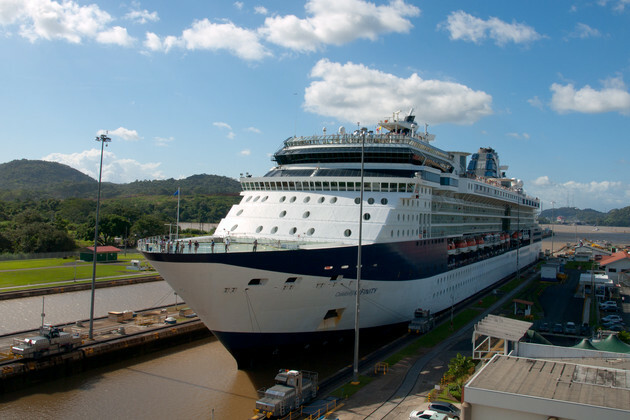 Some luxury lines might include a Panama Canal crossing as part of a world cruise segment. Windstar and Lindblad Expeditions also offer regular Costa Rica and Panama Canal transits with full crossings. Panama Canal cruises are offered from late August to May, though be prepared for intense heat if not traveling in the winter (when it's still hot, just not as searing). With the exception of Windstar's and Lindblad's seven-night voyages to Costa Rica and Panama, most full crossings are 14 days or longer, often with lots of sea days. You'll need to be able to take lots of time off and should enjoy a more relaxed pace cruise if you plan on choosing this option. One potential drawback of a full crossing is airfare. Cruises that transit the entire Panama Canal typically sail between Florida (Miami or Fort Lauderdale) and California (San Diego, Los Angeles or San Francisco). Even longer sailings might continue up either coast to New York or Vancouver. 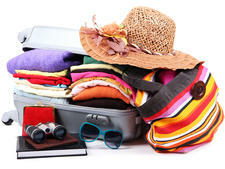 You'll be booking airfare into and out of different cities, which could increase costs. 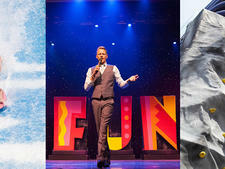 And if you live on the coast, you'll have at least one cross-country flight to endure. Another thing to note is that while most Panama Canal cruises visit ports in the Caribbean, Central America and Mexico, both on the Caribbean and Pacific sides, most do not stop in Panama itself. Your only experience of the Canal will be onboard the ship without the opportunity to do a tour to the visitor center or other Panamanian destinations from either Colon on the Caribbean side or Fuerte Amador on the Pacific. So if you're looking for more cultural options and aren't as impressed by engineering, a cruise that does a partial transit may suit better. Partial transits, tend to be shorter than full transits at 10 or 11 nights in length. Because they are round trip cruises, you can book round trip airfare to the Florida gateways (or drive if you're local) and still travel to exotic destinations. Most partial transits combine the stop in Panama with visits to Caribbean islands, Central American destinations and/or South American ports. Passengers who purchase ship-sold shore excursions can be dropped off at Gatun Lake after passing through the first three locks to continue touring on land, meeting up with the ship back in Colon. This can be a pro or a con depending on your viewpoint. 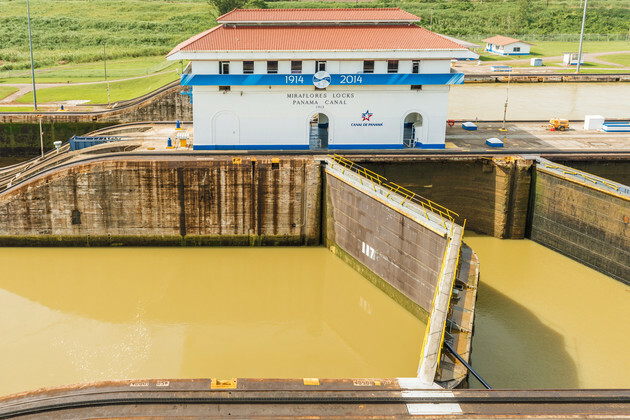 On the plus side, you get to combine sailing through the locks with a land tour to Panama City, a ride on the Panama Canal Railway or even a boat cruise through the Miraflores Locks. On the negative side, you must book a ship's excursion to disembark, and if you do so, you won't be sailing onboard the cruise ship back through the locks (if that's important to you). Another potential drawback is that far fewer cruise lines offer partial transits. 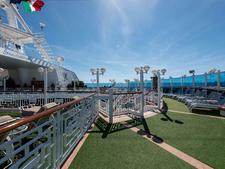 The main players here are Princess and Norwegian, who regularly offer these round trip sailings. If you're looking for a more luxury experience, you'll need to choose a full transit. It's difficult to compare prices between full and partial transits. Because of their longer length, full transits will cost more as a vacation in total, making partial transits the cheaper option. 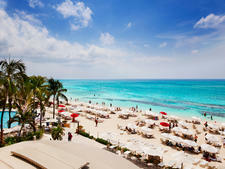 When it comes to value -- the cost per cruise day, as opposed to the total cost -- the prices are much closer, however. When we checked Norwegian and Princess (lines that offer both), the daily rates for full transits were generally a bit higher, but prices did overlap. We did find full transits on Princess with lower total fares than partial transits on Norwegian, so you can luck into some deals depending on how fast a sailing is selling out, the date of departure and any cruise line promotions at time of booking. Choose a full transit of the Panama Canal if crossing the entire canal is on your bucket list, you want a luxury experience or a broad choice of cruise lines, you don't mind a 14-night or longer sailing with plenty of sea days, you can handle the more complicated travel arrangements and you don't need to spend time exploring Panama by land. Choose a partial Panama Canal transit if you want a shorter cruise, want easy air or drive-to access to embark/debark ports, are content with a limited selection of ships and want to do some exploring in Panama.